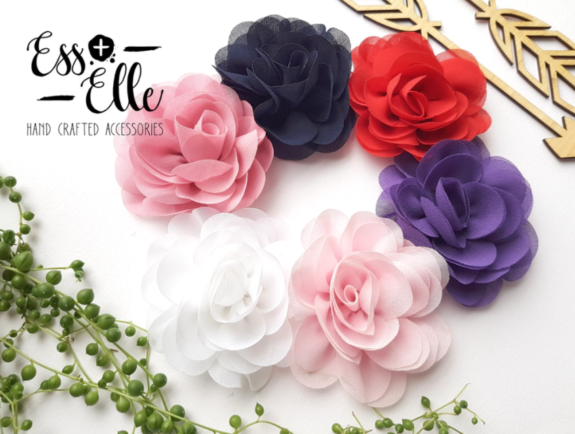 Sweet chiffon bloom on a coordinating ribbon lined clip, complete with a silicone non-slip grip. Each bloom measures approx. 7cm across.